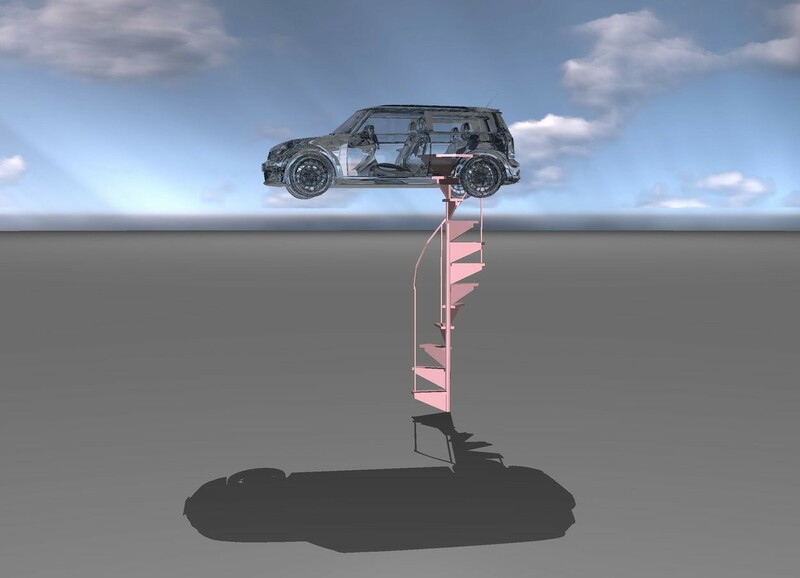 Input text: a big glass car is on a long pink staircase. Your cars offer worlds of thought. nice seeing your work again.